Posted November 20, 2015 by oceanoracle & filed under Seashells. The sea can be wicked and cruel, but ultimately it is beautiful, like a fully developed orchestra equipped with the finest musicians and only the rarest instruments found in the entire world. One of those rare instruments is, of course, the seashell, which should be of no surprise to anyone familiar with the blog and what I do. As the video below demonstrates, seashells create beautiful music. The video features Steve Turre, a trombone player on Saturday Night Live, playing a series of seashells. He even plays two at once! 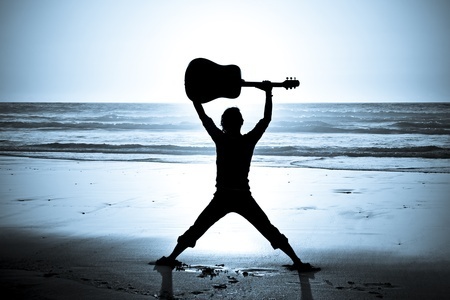 This holiday season, I want you to seek the music of the waves, because it’ll help you make waves in your own life, some positive change that will make the darkness of winter more bearable. Look for knowledge in the tiniest places and let it light up your life. This knowledge is music and since “seashells are an entire kingdom of animal-constructed crystals which possess a largely untapped reservoir of knowledge,” their music can serve to enlighten us. 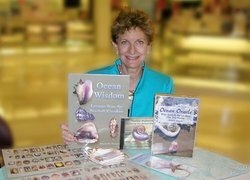 At Ocean Oracle, I take that untapped reservoir of knowledge and turn it into music that your life’s purpose can dance to; dancing “with seashell partners can facilitate positive change in your life.” This is the goal of any seashell reading and I can perform readings over the phone and in person. You might be wondering, “Why a seashell reading? I’ve never heard of such a thing before.” You wouldn’t be in the minority, but seashell divination is a fast-growing field, one that can change your life for the better. Here is a sampling of the testimonials I have received from students that confirm this ability to transform people. I believe in the transformative powers of seashells. They can shed light on every dark corner in our lives. That’s why we put our ears to them and hear the secret sonata music of the sea, the soft whish and rough whoosh that takes us high into the heavens and the future, making us forget that any moment we can be dragged down to the deepest pits of the earth, to wallow in despair and self-pity. We’re better than that. There’s magic in seashells and, in a way, they truly are the guardian angels of the sea, the archangels of the sandy shores, the ones who defend our dreams against the cruel executioners of happiness. Seashells are our shields, our armor, and our airbags when we swerve into life’s oncoming traffic, but they’re also our closest friends, dispensing wisdom when we need it most. While seashells being “our shields, our armor, and our airbags when we swerve into life’s oncoming traffic” can be metaphorical, it can also be literal. Did you know that scientists are studying Abalone Shells for making bulletproof vests? The Cone Mollusks provide medicines that are 1,000 times more powerful than morphine at reducing pain and that are not addictive. Mussels give scientists insight to making glues that will not degrade in a water environment, making it possible to use in dentistry and for sutureless surgery in fetal membranes and maybe even gluing nerve endings together. The sea is constantly churning out surprise after surprise. Studying seashells is having a surprise party every day! 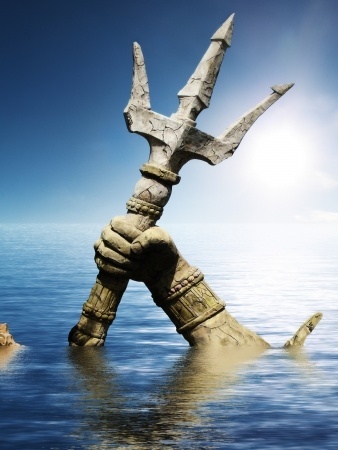 Speaking of the sea, maybe the whole myth of Atlantis is to educate us on the therapist’s couch for the soul. Now hear me out. Maybe Atlantis is an empire of seashells where the music of our souls is constantly being broadcasted over the airwaves, into every nook and cranny of this world and the next. Maybe Atlantis is an empire of dreaming where the pillows are seashells helping us get comfortable with what’s in our heads – that beautiful blue matter where we lock up our dreams hoping that one day we’ll be able to unlock those cerebellum chests. Maybe the whole myth of Atlantis is about examining the bigger picture and finding our place in the universe. Maybe the sea is the universe, a representation of it. So we can safely make our way through life’s troubled waters.